Local businesses, emergency crews, and the United States Postal Service are working to protect the public from potentially harmful packages in Las Vegas. Mailings & More, a shipping and mailing service store in the northwest, was full of packing supplies on Friday and works as a pickup point for USPS, FedEx, and UPS. Owner Neil Merrell says his staff is taking safety very seriously. “We’re not going to add our packaging to something that's completely wrapped, we want to know exactly what’s going in the box before sending it out,” said Merrell. Recently, Merrell has had to change procedures in the store in light of recent incidents regarding suspicious packages. “Since then, FedEx has required us to check ID’s so the sender, the return address, the name matches up with an id before we can ship it out," said Merrell. Even law enforcement and fire departments in the Las Vegas valley have been working to stay safe themselves. 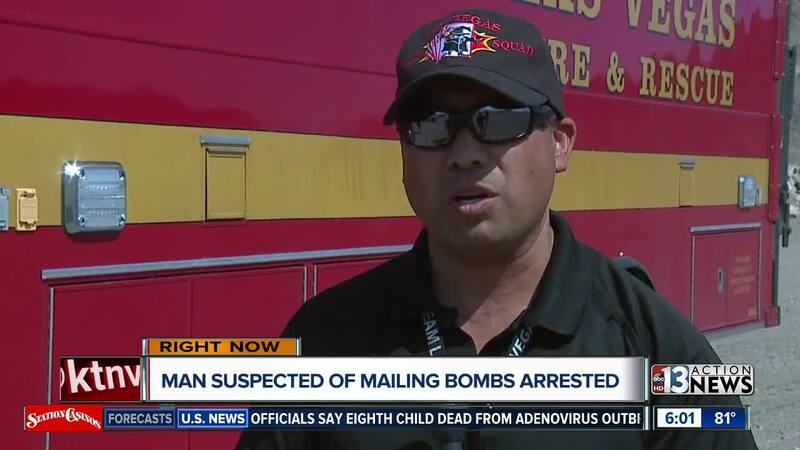 Back in June, firefighters from Las Vegas Fire and Rescue were given training from the bomb squad on dealing with homemade explosives that could be found in a package. "The safety of the community but also the safety of the technicians in those first responders that go out there,” said Shon Saucedo, of the Las Vegas Fire and Rescue bomb squad. On the national front, dangerous mail inspectors with the United States Postal Service have also been looking out for the characteristics of suspicious mail - even using X-ray machines. USPS Postal Inspector Liz Davis says mail in Las Vegas is generally safe. “Parcels such as what we would consider a mail bomb, in these situations of the past week they are extremely rare,” said Davis. With the holidays right around the corner, that means more shipments across the country. “It’s just more volume, not necessarily more staff to go and keep an eye on things so you need to be that more vigilant, we are," Merrell said.